Hewlett Packard released its fourth quarter results yesterday, announcing a 91-percent drop in earnings as the embattled computer giant fights the blows dealt by its failed attempts to enter the tablet market and the ousting of its former CEO, Leo Apotheker in September. Meg Whitman, who took the hot seat from the fired CEO in September, took the opportunity to convince investors they must lower their expectations. "We need to get back to the business fundamentals in fiscal 2012, including making prudent investments in the business and driving more consistent execution," she said. There will be no big purchases in 2012, although they may consider purchases up to $500 million to compliment their current business portfolio. "We just need to get our heads down and get out of the news cycle and cut down on the drama," Whitman said. "We need to run this as one HP, so we can bring the full portfolio to bear to solve customer problems." She further commented that the company plans to begin investing more in R&D, as well as encouraging innovation from within its existing brands. In its fourth quarter the company made just $239 million, a dismal figure when compared with last year's fourth quarter earnings of $2.5 billion. Although much of the blame can be aimed at the $2.1 billion it cost to restructure its WebOS business for tablets and smartphones, the outrageously high ~$10 billion purchase of Autonomy certainly did not help matters either. 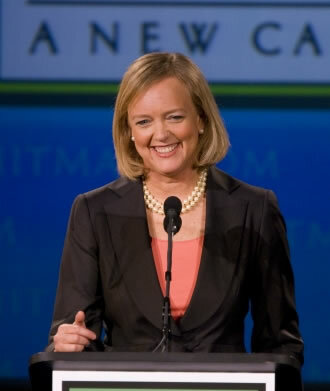 Amazingly, despite the horrendous earnings announcement HP still beat Wall Street forecasts. The company's services division grew 1.7-percent, but suffered a four-percent decline in its enterprise servers, storage and networking market. Sales were also down in its core PC business, with a recorded decline of 1.6-percent, notebook revenues reduced by 4.1-percent as well as the firm's printer division suffering a 10-percent drop. Its desktop revenue increased by half a percent, though. All told, it gives a clear indication that HP's unsettled year has had massive impacts on consumer confidence in the company. The on-off sale of its personal PC business, the failure of WebOS, the response to the purchase price of Autonomy along with the firing of its previous CEO have all taken its toll on its once solid image. HP recently announced plans to refresh its Slate 500 tablet, offering better perfromance, longer battery life and a reduced price.